Get inspired one most famous farmers in the world, the high priest of the pasture, and the most eclectic thinker from Virginia since Thomas Jefferson. 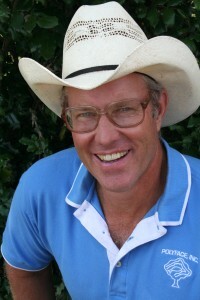 Joel Salatin will teach you how to make a living raising animals, how to build relationships to have a successful farm business, and how to use “nature mimicry” to increase your yields and profits. With ten published books and a thriving multi-generational family farm, Joel Salatin draws on a lifetime of food, farming and fantasy to inspire farmers, ranchers and home gardeners around the world. Joel co-owns, with his family, Polyface Farm in Swoope, Virginia. Featured in the New York Times bestseller Omnivore’s Dilemma and award-winning documentary Food Inc., the farm services more than 6,000 customers, 50 restaurants, 10 retail outlets, and a farmers’ market with salad bar beef, pigaerator pork, pastured poultry, and forestry products. 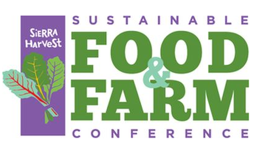 If you are interested in how to create or expand a thriving farm enterprise, join us to at the 2018 Sustainable Food & Farm Conference to hear Joel share details from his latest book, Your Successful Farm Business: Success, Profit and Pleasure. As a germination tray for new farmers ready to take over the 50 percent of America’s agricultural equity that will become available over the next two decades, Polyface Farm in Virginia’s Shenandoah Valley stands as a beacon of hope in a food and farming system floundering in dysfunction: toxicity, pathogenicity, nutrient deficiency, bankruptcy, geezers, and erosion. Speaking into that fear and confusion, Salatin offers a pathway to success, with production, profit, and pleasure thrown in for good measure. Salatin writes The Pastoralist column for Stockman Grass Farmer, the granddaddy catalyst for the grass farming movement, and the Pitchfork Pulpit column for Mother Earth News, as well as numerous guest articles for ACRES USA and other publications. His books include Folks this Ain’t Normal: A Farmer’s Advice for Happier Hens, Healthier People, and a Better World and You Can Farm: The Entrepreneur’s Guide to Start & Succeed in a Farming Enterprise, Everything I Want to Do is Illegal: War Stories from the Local Food Front, as well as seven other publications for farmers, ranchers, and consumers who value quality, local food grown in ways that enhance human and environmental health. A frequent guest on radio programs and podcasts targeting farmers, homesteaders, and foodies, Salatin’s practical, can-do solutions tied to passionate soliloquies for sustainability offer everyone food for thought and plans for action. Mixing mischievous humor with hard-hitting information, Salatin both entertains and moves people. Read more about Joel in Time Magazine and at Polyface Farm.